At a moment I have about 10 windows awaiting on a window treatment. Some of them are newly wait listed (basement ones) and some are waiting on me for more than year and half... Sometimes the wait is not such a bad thing as one uncovers new ways of doing something, or you can change your mind looking at different inspirations, examples, etc. Most of the demand for curtains I've managed to address one way or another. There is a window where I would like to add a roman but it is very wide so I might either go with roman created from tablecloth as per recent aha! moment I had when I read Imparting Grace's post or just curtains but at this point in time this is more of a nice to have and I have more immediate needs. More immediate need is in my daughter's room where I have light curtains but need blinds or roller shade to darken it especially since younger daughter is taking naps there now. 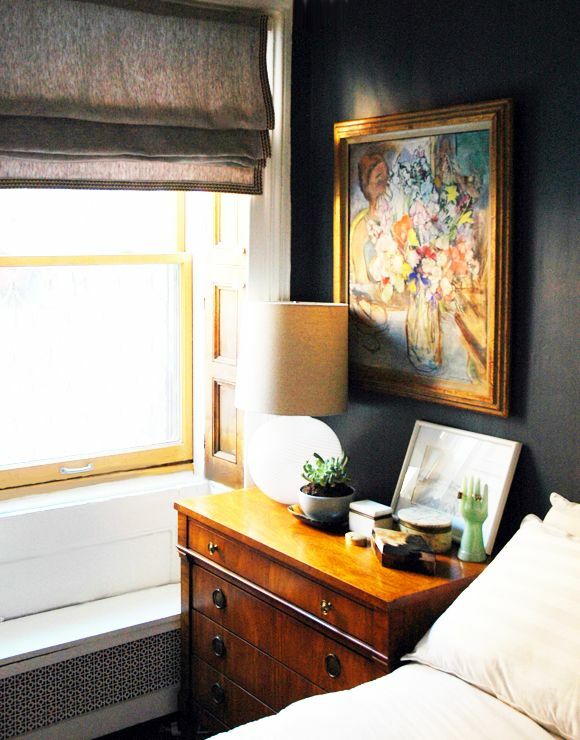 Initially we were planning to buy faux-wood blinds from Home Depot as we've done in our master bedroom, as I have had some reluctance to go with roller blinds or other options based on some experiences from really long time ago... But things should improve over time, right?!? Looking at costs we purchased Ikea's TUPPLUR Block-out roller blind as they are considerably cheaper option. I can't wait to try them. 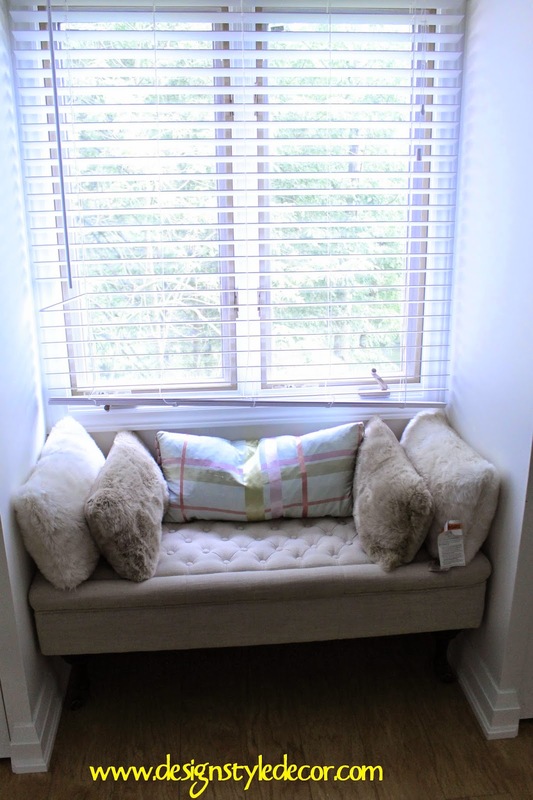 Next up on the list is window in our powder room. While there is no real need for window treatment, it is quite necessary in order to improve the aesthetics of the space as the window is quite ugly. 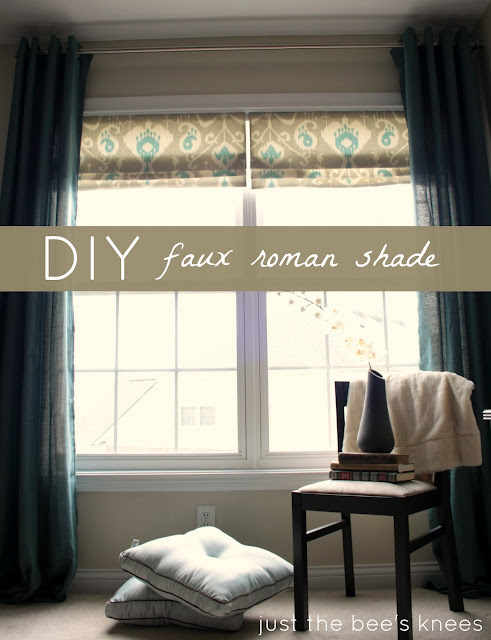 Since I do not need to have a working window treatment, faux- roman is probably the best option. I've been looking at buying a right fabric for some time now and even contemplated to order customer roman blinds - but I cannot justify the cost to myself. It so happened that I ran into sale on top of sale at West Elm where I purchased ikat ogee linen curtains for extremely good price. 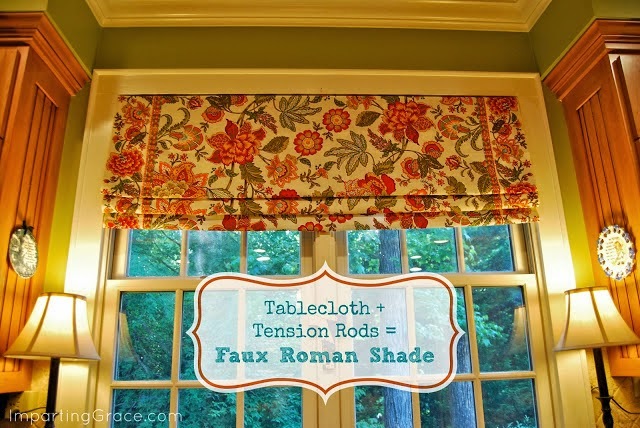 I got them in order to use the fabric for my faux-roman blinds as the price per yard worked out to be much better than anything I could find.